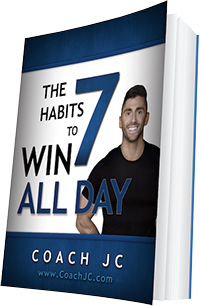 Today’s WINNING recipe to meet Coach JC’s 10 WINNING Habits is Spicy Kale and Quinoa Black Bean Salad. Where are my veggies? In medium sized pot, combine 2 cups of water with 1 cup of quinoa an bring to a boil. Lower heat, cover and simmer for 15 minutes or until water is absorbed and quinoa is fluffy. 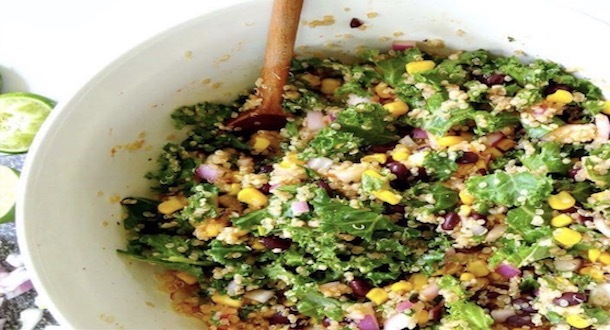 In a large salad bowl, add the kale and onion. Once the quinoa is done cooking, add in the black beans and corn to the pot. Mix it up. Add the quinoa mixture over the kale and mix. Prepare the dressing and pour over salad.